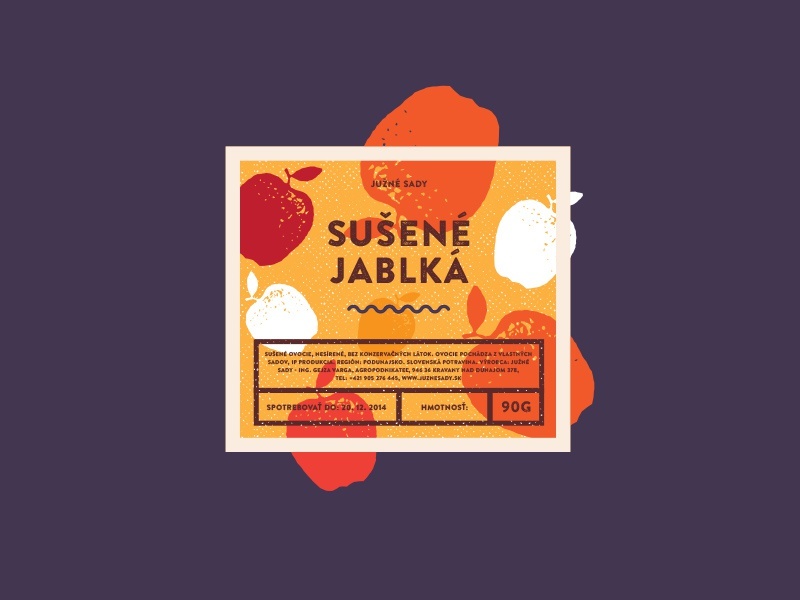 Little sneak peek of label for dried apples I'm working on right now. It's for one of the largest fruit producers in Slovakia. Design is still in progress so any comments or suggestions would be appreciated. Labels for pears and plums are on the way soon.